The Department for Environment, Food and Rural Affairs (DEFRA) has started a consultation regarding an overhaul of the local air quality management regime that has been followed for the last 16 years, which may result in the permanent shutdown of air pollution monitoring sites, according to the Waltham Forest and Redbridge Green Party. The ongoing consultation has sparked concern that the changes might relieve local authorities of their responsibility to deliver pollution information, with no other arrangement in place. DEFRA said that changes are needed in order to help the United Kingdom comply with European Union air quality requirements. On the other hand, the Waltham Forest and Redbridge Green Party stated that those changes would cut funding and consequently pollution monitoring stations would close. Diana Korchien, local Green Party spokesperson, said that should the changes be enforced, there will be no one responsible for providing information about local pollution. Therefore stations would have to close as the changes would mean that money will not be allocated for pollution monitoring. If there are no monitoring stations, the local Green Party would not be able to keep tabs on pollution levels and therefore won’t be able to inform people on how to protect themselves, Korchien added. 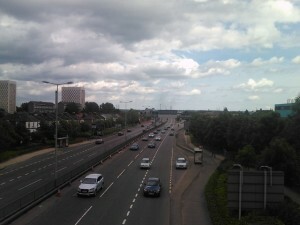 A Freedom of Information request submitted in June to Transport for London (TfL) revealed that the most polluted road in the city is a section of the North Circular Road (A406), which runs through Walthamstow. The consultation, which was due to end on 30 August, has been extended by two weeks.